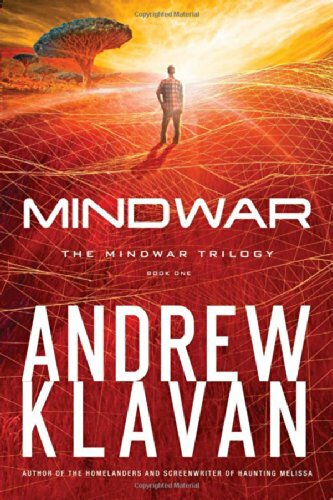 MindWar: A Novel (The MindWar Trilogy, Book 1) by Andrew Klavan. Thomas Nelson, 2014. 336 pages. The title MindWar sums it up perfectly: Rick is fighting a mental battle that has far-reaching effects in the temporal world. A high school senior who had his promising athletic career abruptly curtailed by a car accident, Rick is now barely able to walk. Since the accident, he has spent months escaping his misery by playing video games. While simultaneously battling anger over his father’s recent abandonment and his new physical limitations, Rick has unknowingly been in training for the most important battle of his life. A secret government agency notices Rick’s video game prowess and recruits Rick to join their cyber battles against a supreme villain, Kurodar, creator of the Realm. The Realm is essentially a place in Kurodar’s mind that the government agency has figured out how to invade, and invade they must, because through the Realm, the villain and his sidekick Reza can wrest control of power grids. This is cyber warfare at its most sinister and metaphysical. Rick’s mission: to invade the Realm, evade detection (which would mean certain death), and discover the source of the Realm’s power. Unlike his video games, though, Rick only gets one life. It’s time to be a true hero. 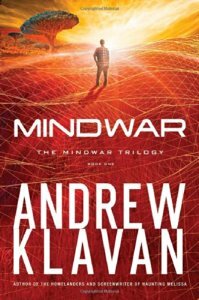 MindWar combines sci-fi, cyber terrorism, and a moving account of a young man coming to terms with his unique gifts to great effect. Klavan succeeds in crafting a sophisticated allegory of the spiritual warfare in which we all must engage—battles of the mind that have direct bearing on our physical, temporal world. Often, in these battles, we must fight without knowing all the details. We must trust in what we know to be true—just as Rick must trust those he finds as allies, trust the weapons he’s been given, and trust in the overall mission even when he least understands the forces at work. A gripping and complex read for teens who enjoy reading between the lines as much as they enjoy a suspenseful read, MindWar delivers both entertainment and food for thought. Key thematic elements include the importance of the family, of fulfilling your calling, and of sacrifice. One word of caution: there are some intense, violent/”scary” scenes depicted in this book; sensitive readers, particularly on the younger end of the young adult spectrum, may wish to save this book for down the road. This is a joint review by Hayley and Betsy. 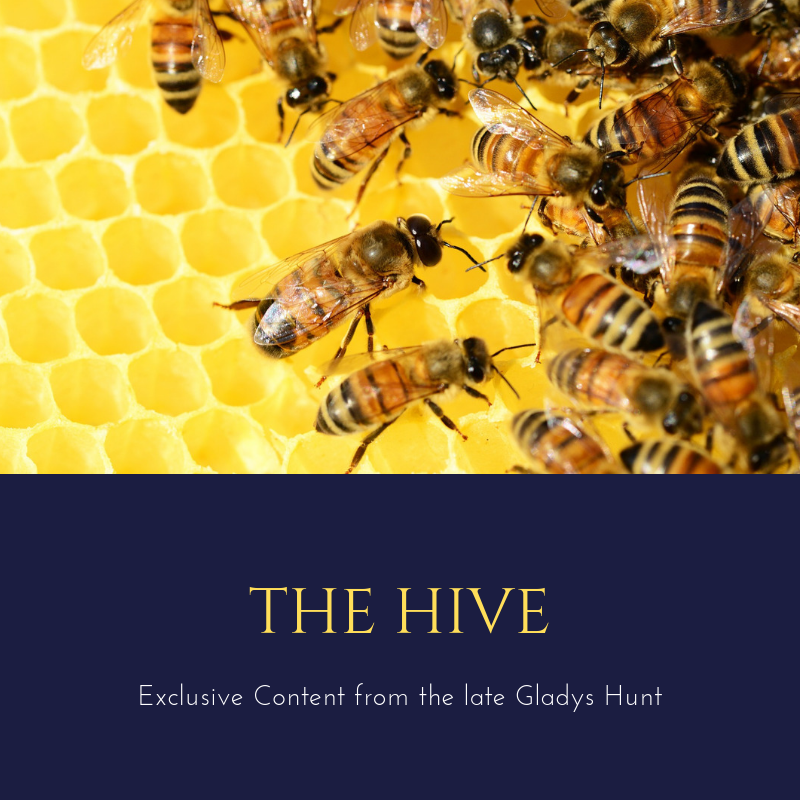 A free copy of this book was received from netgalley for a fair review. I bought this book for my 13 year old son. He read about 20 pages then brought the book to me and said it was too violent. I read the portion he had just read and I agree that it is very violent. There is a murder and a hit-man in the opening section of the book. We didn’t get any farther than that since I didn’t want to expose him to more murder and he didn’t want to read about it. I didn’t see this mentioned in the above review. I’m so sorry this was your experience, Matt! Thank you for letting us know. We felt like our “word of caution” at the end of the post did address the presence of violence in this book and the type of readers who would be best suited for it; we also noted “violence” as our primary caution after the review itself. As with other potentially troubling elements (such as sexuality), we looked to how this element served the plot and the overall theme of the book. Klavan presents a key spiritual analogy through the events of the book (including the murder scene you reference), and we think his use of violence serves his purpose well. It is indeed a gritty book at times, but it is a robust picture of the spiritual battles in which we are all engaged and it ends on a very positive note.